I absolutely loved Prague. It's easily among my favorite cities so far this year. I've been thinking about what makes Prague so great, and realized there's no one thing that makes it great. Instead it's a multitude of little things done right that makes this city so beautiful and liveable. The whole city is very walkable. No matter where you are, nothing is more than 20 minutes away. Compare that to last month in London, where you could easily spend 45 minutes to the other side of town. The only thing that might stand in your way is some hills or cobblestone walkways in the older parts of town. Public transit is quick, clean, and simple. It's very easy to navigate here. It's also insanely cheap to get around on transit, and the same with Uber. The historic buildings are in tact and beautifully maintained. There are small shops, restaurants and bars everywhere. Buildings average four to five stories high, so you never feel out of place against large sky scrapers. No large, stale corporate spaces here. It's such a beautiful city. Drinking in public is allowed.There are always people gathered with their friends in the parks socializing. It creates a very lively and friendly atmosphere when you're not forced to sit in your house or bar to have a drink. Lastly - one of my favorites - dog leash laws are very loose, so everywhere you go dogs are walking near their owners or playing with other dogs. It may sound like chaos, but all of the dogs are very well trained and friendly. Of course the list can continue on and on, but I don't want to drag on. Simply put, Prague was designed for the human scale with livability and walkability in mind, unlike most of our cities in the States that are designed for us to sit isolated in our cars. If you have the opportunity to visit, don't hesitate. A video that a fellow Remote, Laura, made for Prague. 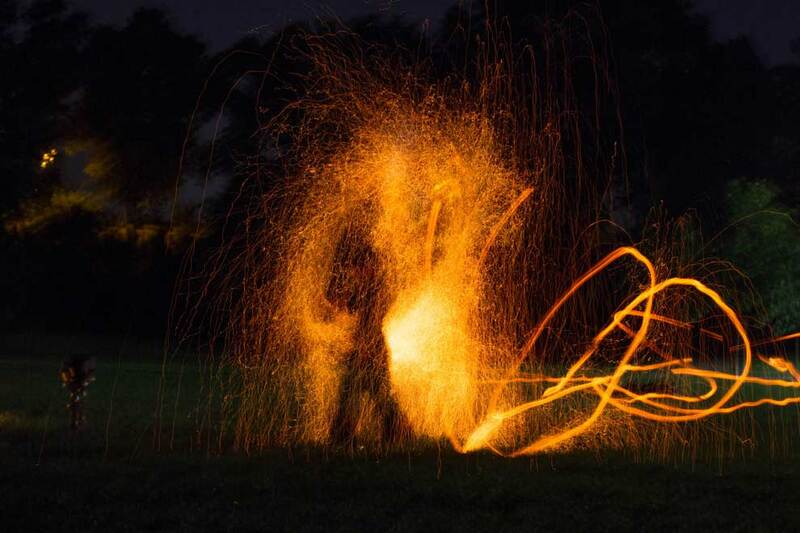 For more great fire show photos, check out the bottom of my friend Matt's post. Time for a quick video.